Thanks to Phil Green for this fascinating image capturing the source of the Crowland Floods of 1947. 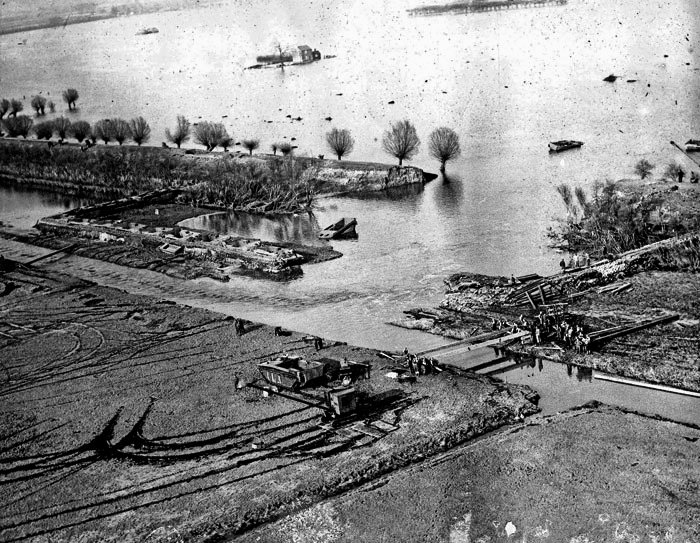 The Winter of 1947 had been a bitterly cold one and it was compounded when in early March there were strong gales and heavy snowstorms, creating blizzard conditions. Heavy snow fall created drifts up to 15 feet in some parts of the UK. When the the cold weather ended, the temperatures rose rapidly causing a fast thaw of the lying snow which created serious problems as the still frozen ground caused run off into the streams and rivers. 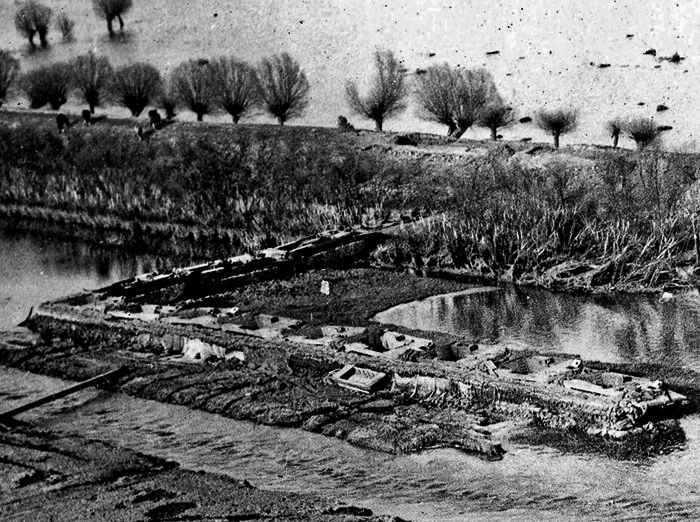 Compounded by hurricane force winds on 16th March, floodwater waves started to pound flood defences and, on Friday 21st March 1947, the old River Welland course breached its banks and water poured quickly onto the surrounding land until Crowland itself was completely surrounded by water, becoming a virtual island. The water eventually reached as far as English Drove, north of Thorney, and as far south as the railway line at Eye. The only route in or out of Crowland was via the B1040 towards Thorney. 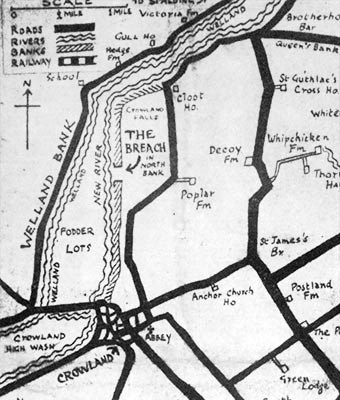 On 24th March, due to the difficult access to the site, a three quarter mile stretch of light railway was laid from Crowland to the breach so that stone could be transported to build an encircling wall. The stone to fill the breach came from quarries at Helpston and Yarwell so it had take a roundabout route via Thorney. Villagers, R.E cadets and German Prisoners worked to build stone causeways either side of the breach. On 26th March, Brigadier G Younghusband, Deputy Commander of the North Midlands District, hatched a “cunning plan” by bringing in 16 amphibious “Water Buffalo” tanks (aka LVT- Landing Vehicle Tracked). The plan was to create a “tank barricade” to reduce or stop the flow of water so repairs could progress faster. The tanks where placed at the extremes of the stone causeways rather than in the breach itself as the tremendous pressure of the water had eroded a hole 28 feet below ground level – the height of two double decker-buses. On the 29th March, the breach was officially declared “sealed” and work started on pumping water back off the surrounding land ….. but it wasn’t quite resolved just yet ! On Friday 11th April, a second breach occurred at 7am when the water forced its way under five of the LVT’s and they were swept away. The Peterborough Citizen and Advertiser reported the tanks “whirled away like matchsticks”. 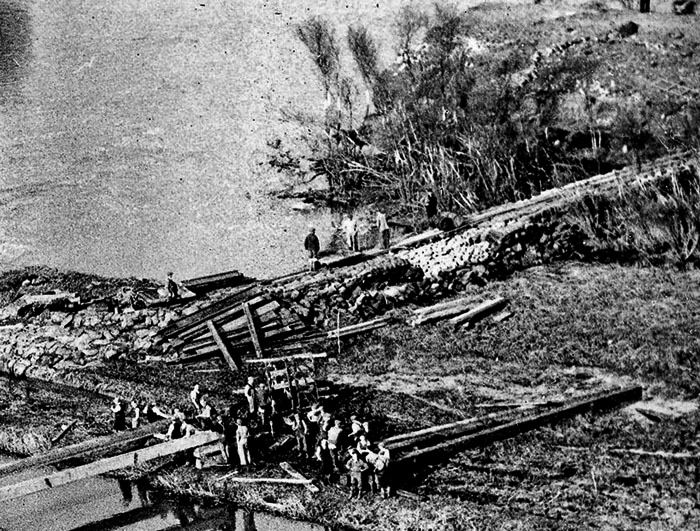 Three of the tanks were sucked down into the 28 foot hole created by the original breach. The following day, a further 12 tanks were brought in from York to reinforce the bank repairs and on 21st April, the breach was declared sealed for a second and final time. 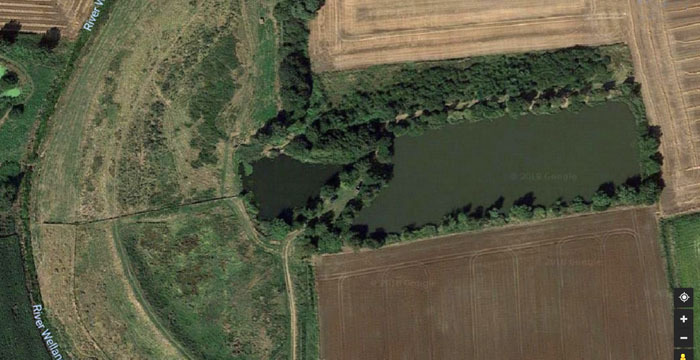 Today, the site of the breach is still marked by a rectangular pond with surrounding banks that, according to news reports at the time, still hold 25 buried tanks as well as three vehicles at the foot of the pond itself !